Rec'd from my cousin. Thanks Marcie! I loved this book and am so looking forward to #2 in the trilogy. Lyndsay Snyder leaves Savannah to spend a year as a school teacher in the town where her father was born. It follows the lives of all the people she gets to know and love. There are still a few story lines that I need to find out what happens and will be looking for Dakota Home the second book in the story. Please make a journal entry as soon as you recieve the book and also when you send it to the next person. Then we know where the book is! When you are finished with the book please PM the next person on the list and ask for their address so you can send it on to them! Also let us know what you thought of the book but don't give too much away! Please try and turnover within 30 days of receiving. Mailed today on the first leg of it's journey. This book arrived today:) along with a lovely Space Needle postcard from Seattle. It is perfect timing as I finished a Kathy Reichs books last night. I just love Debbie Macomber books and her happy endings. This one started a little slow for me but by the time I finished the first hundred pages, I was hooked. MEN! All of the men in this book, well, I just want to shake them! Pride can be a wonderful thing but it can also ruin their lives if they aren't careful. Like top-tappser, I look forward to the next book in the series. This book will be in the mail on Monday. Received in yesterday's mail from Southernfryed. Will finish up my current read and start on this in the next few days. Thanks guys! PM'd Donduckandy to let her know I'll be mailing this off by 7/14. I'm a few chapters away from the end, I didn't intend to keep the book this long, sometimes life just gets in the way! Finished over the weekend, sending out today to Donduckandy. I enjoyed the book and also am looking forward to the 2nd and 3rd books. For some reason, the end of the book was dragging for me and I struggled to get through it. Sometimes I didn't like when she switched characters in the middle of a page. But...I don't like to be critical - the book did make me feel like moving to a small Dakota town. Book arrived in Hazleton, Pa. today. i have 3 books to read before this one, but will get it moving as quickly as possible. Thanks for sending. This book was kind of slow. But it picked up and kept me reading. But now I'm hooked on the story line. Can't wait until I read the rest of the trilogy. Just received this one in the mail today along with another Bookring. I'll get this onto LyzzyBee within the next few weeks. Finished this one last night, I've never read any of Macomber's books before and I thought I wasn't going to like it but I stuck through the first 50 pages and I was hooked. I can't wait for the next one. I already have LyzzyBee's address but I need to get to the post office when the counter is open, with today being a holiday I'll have to stop by one evening after work. I'll JE again when it has been mailed. Thanks for including me! Mailed off to LyzzyBee today, the postal clerk said it should be there within the next couple of weeks. Wow - that was quick - it arrived today! I have my current novel and my Iris Murdoch-a-month read to get through and then I'll be right on to this one. And - ahem - I do already have the next person's address as we like almost all the same books!!! OOoh this was lovely - classic Macomber. If you like this, you'll love the Cedar Cove series (waves at purplerosebud and calalilly). In fact, a cast member from one of the Cedar Cove books does go to Buffalo Valley at one point - I'll have to check out which one! For me, the tempo was just right, I loved all the details about the small town (and I do love a small town America book!) and Lyndsay's move there for a year (right...) from Savannah; and all the plot lines were woven deftly together, with just enough stories resolved to give satisfaction with this book, and enough left open to leave us wanting more. Arrived today, by second post, which I didn't think Royal Mail still did, and was very quick! 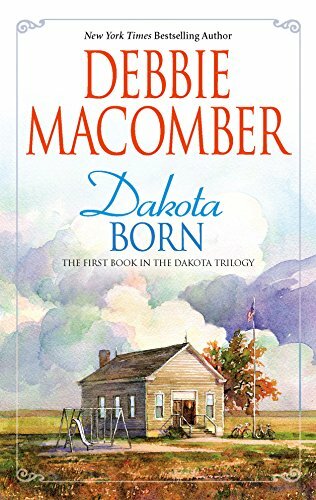 I know I shall devour this speedily as I have a cold and am just about to refill my cup and head back with this latest installment from Debbie Macomber. This will be in the post the early part of next week to calalilly. I loved this book. A typical Debbie Macomber, a light and comfortable read. I enjoyed it so much that I read the preview of the second in the series. In the post to calalilly on Friday. Received in the post, thank you Anglersrest. I'll looking forward to starting this. Enjoyed this book it was light and very easy to read. Looking forward to reading more in the series. Passing this onto Purplerosebud now. A lovely comfortable book to read. You kind of think you know the ending but you have to keep reading just a few more pages and then a few more just in case. I did get very frustrated with some of the male characters but by the end ......... well I'll leave you to find out if you have still to read it. I thought there was a ring for the rest of the trilogy, could someone let me know in case I haven't joined up as I would love to hear more about their lives. I'll be sending this on to next on list as soon as I have their address. Sorry I've kept this a little too long but many thanks for sharing. Rec'vd today. Have several in front, but will get to it as quick as I can. Thanks! Sorry for the delay on this one....mailed it out this past Thursday, but just now getting a chance to journal. I just received this book today. I am looking forward to reading it. Please, keep in mind I am a college student so I do tend to lose track of time. If I keep it for too long send me a friendly reminder to keep it moving. Thank you for sharing. This book will be mailed out on Monday. Thank you for the reminder. Thanks for inviting me to join this ray! Can wait to read! I have to see when I first started this book I didn't get into it as fast as the Cedar Cove ones. However--once I was in I was hooked! Love hearing about a community like that overcoming--it adds an extra element to the story. Looking forward to reading the rest! Dropped it in the mail today as well so it's on its way! I received this book in the mail yesterday. Will get to it soon. wissota has already read the book, so I am skipping her and sending to flossie 771 on Monday! Received today...adding to my tbr. Thanks for shipping to me rrrcaron...and thanks for including me top-tappser. Received by mail today. I am between books, so I'll get it started. Messaging easterngirl71 for her address. Thanks for including me. Mailed to Easterngirl71. Hope she enjoys it! Easy read, I can't wait for volume two. sending this book on to the next reader! Arrived today :) Totally not expecting anything. What a nice surprise! I've been trying to make up for the several months that I had abandoned Book Crossing and not passing book rings/rays along. So I sincerely apologize for holding on to this series for so long. That being said I absolutely loved this whole series. The stories were happy and uplifting. Any conflict had good resolution. The Dakota series was one of those romantic (not sleezy) feel good set of books. It also opened me up to a new general and author. I will look for more Debbie Macomber. I will contact RustyReader2 and ship them out when funds are available.